Carlos Caicedo stared through tears at photos of his smiling daughter, Carla Stefaniak, that he keeps on his cellphone. The pictures show her as a baby laughing in his arms and of her as a 15-year-old dancing with him at her quinceañera celebration. 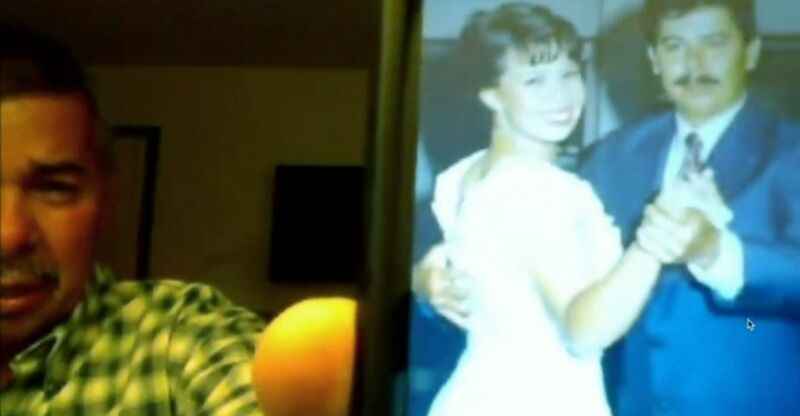 As he swiped through his family photos, he said he wants to remember Carla's infectious smile, her bubbly personality. But the image he can't shake, the one he says has shattered his life, is his 36-year-old daughter lying in a Costa Rican morgue with her throat slashed and her head bashed in. He paused at a photo of his four children. ABC News interviewed Carla Stefaniak's father Carlos Caicedo and her long-time friend Greg Zwolinski, Dec. 4, 2018. "That's my team. That's my team through and through. We are incomplete," he told ABC affiliate station WFTS-TV in Tampa on Tuesday night, just hours after identifying his daughter at the morgue. On Tuesday, investigators in Costa Rica arrested Bismarck Espinoza Martinez, 32, in connection with Stefaniak's slaying. Stefaniak was last heard from on Nov. 27, the night before her 36th birthday, her family told ABC News. The Miami resident traveled to Costa Rica on Thanksgiving Day to celebrate her birthday with her sister-in-law, April Burton, but decided to stay an extra day after Burton returned to Florida on Nov. 27, the family said. On the last night of her life, she stayed at a hostel in San Jose, the capital of the Central American country. Investigators say Martinez, a security guard at the hostel, lives in a room next door to one Stefaniak was staying in. Miami resident Carla Stefaniak, seen here in this undated photo. Walter Espinoza, director general of Costa Rica's Judicial Investigation Agency, said blood was found in Stefaniak's room and that Martinez had given investigators statements that are "incompatible to reality." While Martinez has not been charged in Stefaniak's death, Espinoza called him "a suspect." He said Tuesday that the investigation is ongoing. Stefaniak's decomposing body was found Monday in a wooded area about 1,000 feet from the hostel where she was staying, officials said. An autopsy determined she suffered stab wounds around her neck and extremities, and blunt-force trauma to her head. "I guess that Carla fought," Caicedo said, adding that he gathered from her injuries that the struggle with her killer "was long." "She was my baby," he said as he came to a photo on his phone of him holding Carla as an infant and noted that she was laughing. "My baby's so happy with Papi." He came to another photo of his mother posing for a photo with Carla. "I have to tell you that I'm going to lose the two loves that are part of me. My mom is so sick," he said. "She is so sick. I'm going to lose the two loves, big loves of my life, my mom and Carla." As the father began to sob again, saying, "It's too much for us," Greg Zwolinsky, a close friend of Stefaniak, said he will always remember Carla for her smile and laughter. "Look at her picture. That's how everyone is going to remember her," Zwolinsky told WFTS. "You just look at her picture ... that smile just makes you smile and laugh. Her personality radiates through her pictures and I want the world to remember her the way she is portrayed in those because that's her." In a statement Stefaniak's family released Tuesday, they said they will not rest until they get justice for Carla. "Are we done here? We are not," the statement said. "In the following days, we will release critical digital leads of the investigation, continue asking questions about the involvement of others in Carla’s murder. We will make sure this case is not closed like many others in Costa Rica."